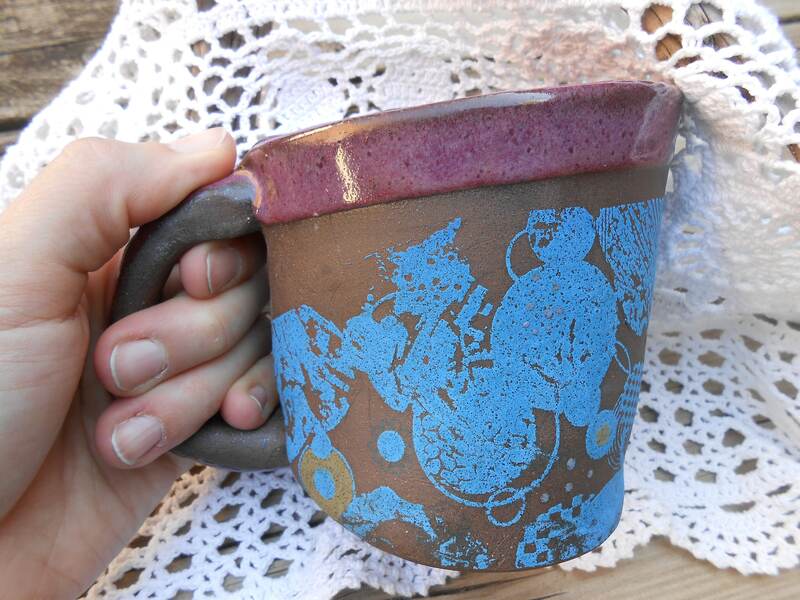 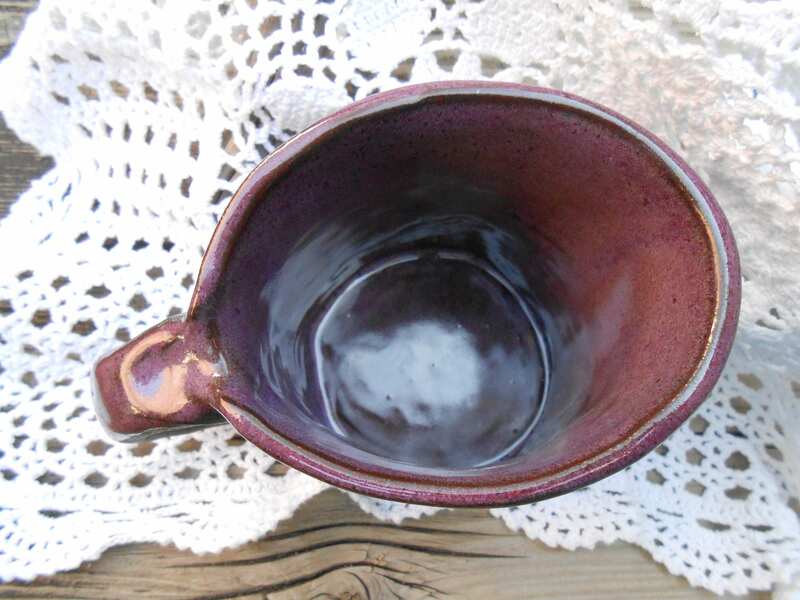 This hand built, high fire stoneware mug is glazed on the interior with a juicy purple. 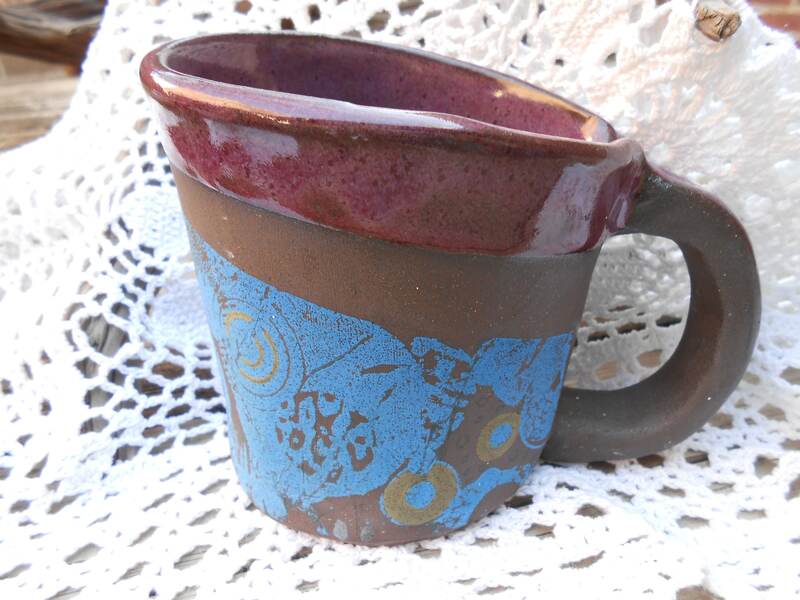 The walnut brown clay was left raw on most of the outside, except the lip and where the rice paper decal and under glazes decorate the exterior. 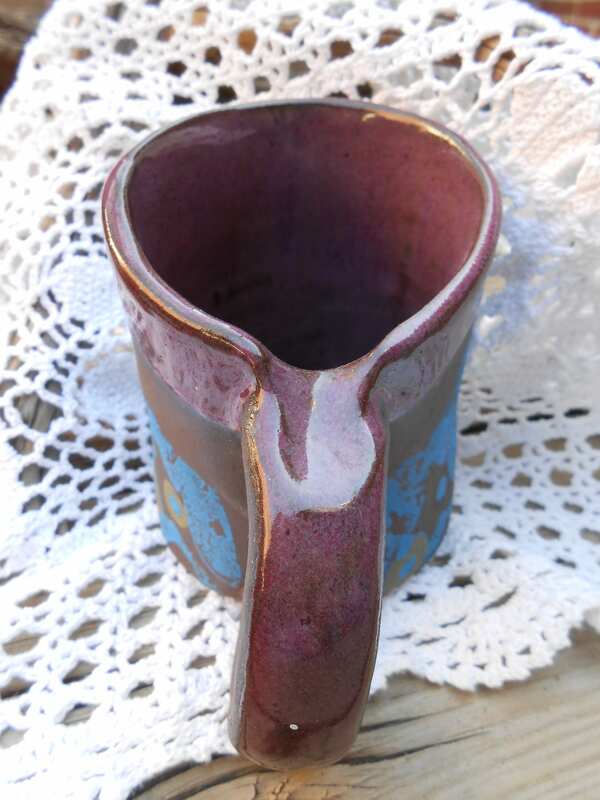 Handle is 1/2 glazed and raw. 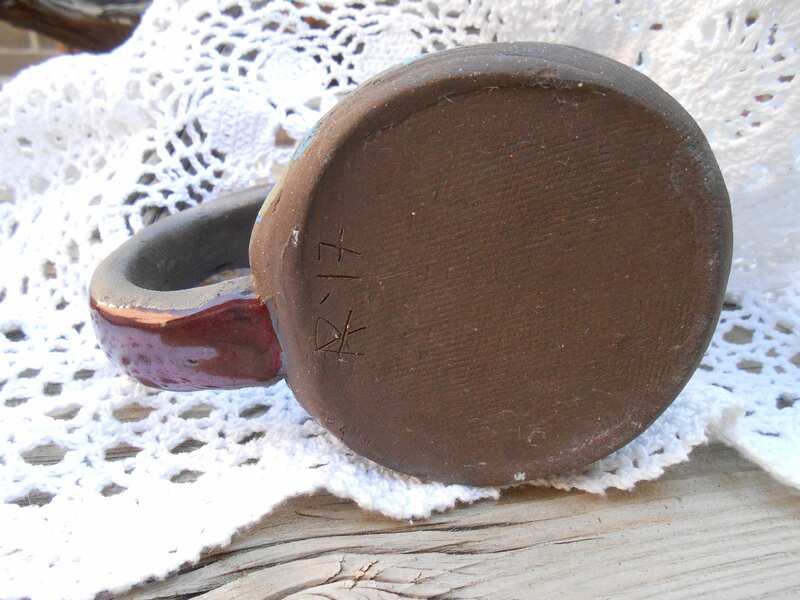 Microwave, oven and dish washer safe, measures 3"x4" at mouth 4" tall.